Have you been forced to neglect household cleaning because you can’t find time between work and the kids for any of it? Then you’re one of many in Neutral Bay that could use some assistance from a trusted professional cleaning company. Simply Maid has made several lives easier in Neutral Bay by providing a highly efficient cleaning service to its residents at an affordable price! Simply Maid is the ultimate cleaning company for Neutral Bay homes, big or small. From the messiest of post-party cleanups, to minimal cleaning maintenance, and everything in between; we do it all and better than anyone else! Our cleaning services are recommended by countless satisfied customers across Sydney, to whom we also owe our 5-star status. With a team of skilled, honest and hardworking professionals, Simply Maid is a highly trusted and reliable Neutral Bay cleaning service. We believe in perfection when it comes to our work and hence, enjoy leaving homeowners pleasantly surprised with immaculate results. We would never put your family or home in harm’s way. Hence, each and every cleaner or employee at Simply Maid goes through a thorough background check, multiple interviews and rigorous training to ensure that they meet the high standards we have set here. Moreover, we’ve put together a team of fun, friendly and cooperative individuals. Our cleaning staff understands the importance of upholding our reputation as Neutral Bay’s most trusted cleaning service and therefore, continues to work honestly and efficiently. Customer satisfaction is top priority at Simply Maid. We use topnotch, eco-friendly products and high quality equipment to make cleaning quick, safe and 100% efficient. With years of experience and a team of highly qualified cleaners, no cleaning task is too big or complex for us. We’ve handled household cleaning jobs or various natures and are proud to say we’ve conquered them all! You couldn’t ask for a more convenient, simplified online booking process. It just takes 60 seconds to book our cleaning service by telling us a few details, and we will handle the rest. Tell us a convenient time to come by and our cleaning staff will be there on the dot, ready for action. Payment transactions are completely safe and secure, thanks to the fully encrypted technologies we use to ensure that our customers’ finances are never at risk. To further put you at ease, we offer full refunds if you choose to cancel your booking at any time. No hidden costs, no contracts; we are a straightforward, trustworthy cleaning service always looking to increase customer satisfaction with exceptional cleaning results. 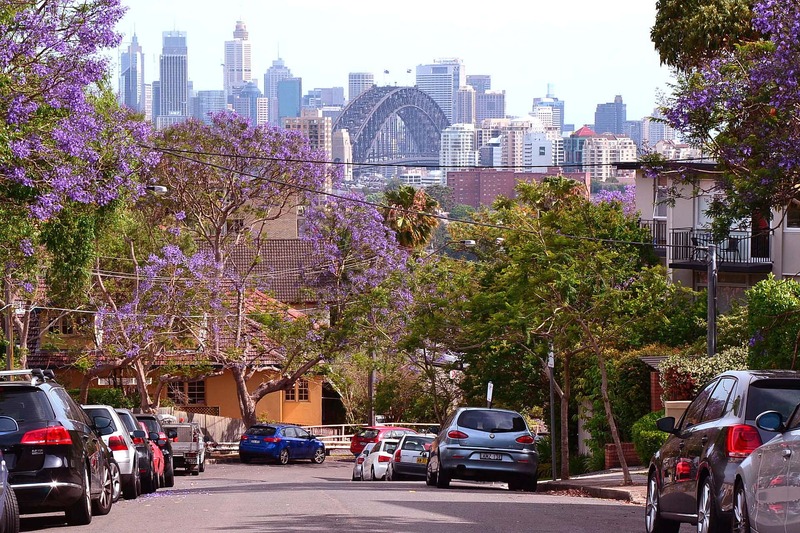 Our services are not just confined to Neutral Bay; we also cater to surrounding suburbs like Milsons Point, Cremorne Point, Kirribilli and Mosman. Other suburbs around Sydney that can avail our cleaning services include Bondi, Mosman, Parramatta, Gladesville, Chatswood, Hurstville, Potts Point, Coogee, Double Bay, Waterloo, Eastern Suburbs, and Northern Beaches. Located on the Lower North Shore of Sydney, this harbourside suburb has an estimated population of over 9,300 residents. Approximately 1.5 kms north of Sydney CBD, Neutral Bay is home to many business professionals, families and a couple of retired folk as well. You can find plenty of heritage homes here, along with modern mansions and Art Deco apartment buildings. It’s a wonderful mixture of housing facilities, making Neutral Bay ideal for people of various backgrounds. Take a walk down Military Road and that’s where you’ll find all the hustle and bustle of shoppers visiting supermarkets, retail stores and The Big Bear mall. Apart from being the main shopping district of the suburb, there are many cafes and restaurants to dine at that offer various types of cuisines. The ever so popular Oaks Hotel is also situated on Military Road where many locals and tourists enjoy spending time at the courtyard bars, beer garden and restaurants. In terms of scenic views, Neutral Bay has plenty with good spots to relax and soak them in. As you head closer to the waters, you’ll find beautiful parks tucked away from the city where people enjoy family picnics or just some peace and quiet. Other suburbs that surround Neutral Bay include Crows Nest, Cammeray, North Sydney and Cremorne.